The Holy Week is a very sacred time for Filipinos, a time for reflection and penance, and a time for honoring traditions, such as the pabasa (chanting/singing of the Passion of Christ), the Way of the Cross, and the Visita Iglesia. As millions of devout Catholics make the rounds of at least seven churches to commemorate the last days of Jesus on earth, pilgrims may opt to add a “historical” twist to this annual tradition by doing it in the historical province of Cavite. Cavite’s churches not just present colonial influences but they have figured well in the nation’s history, former Kawit tourism officer and now freelance curator, Angelo Jarin Aguinaldo, said in an interview on Thursday. His advice as an ideal first stop from Manila, a few minutes’ drive down South, is the Iglesia Catolica Apostolica Romana Parish of St. Michael the Archangel. Located along Evangelista St. in Bacoor City, this was where Fr. Mariano Gomez served as one of its parish priests. “Gomez is the GOM in GOMBURZA – the three Filipino priests who were executed (on) charges of subversion arising from the 1872 Cavite mutiny,” Aguinaldo added. In nearby Kawit town is where you will find the Church of St. Mary Magdalene, where the first president of the Philippine Republic, Gen. Emilio Aguinaldo, was baptized. Saint Maria Magdalena is known as the patroness of the Revolutionists. It is located near Gen. Aguinaldo’s birth house, which has been turned into a Shrine and museum in his honor and run by the National Historical Commission of the Philippines (NHCP). Saint Mary Magdalene is believed to be the general’s inspiration in naming his Katipunan council “Magdalo”. 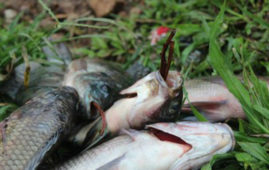 Just a few minutes’ drive from Kawit is the town famous for its smoked fish – Rosario. 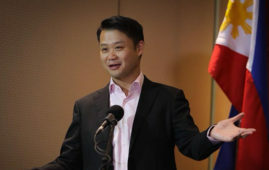 “This is where you’ll find the image of Our Lady of the Most Holy Rosary, Reina de Caracol, who saved the lives of people in the midst of a strong typhoon during the Spanish era,” Aguinaldo said. Historical accounts reveal that the church was burned in 1896 at the height of the Katipuneros’ hostilities against the friars, and was converted into a “cuartel” of revolutionaries during the fight with the Americans in 1901. Another popular church in Cavite that boasts of priceless religious relics and high-vaulted ceilings reminiscent of the Spanish colonial era and the Katipunan period, is the Imus Cathedral of Our Lady of the Pillar. Built by the Jesuits, the cathedral was declared a structure of historical significance in November 2006. 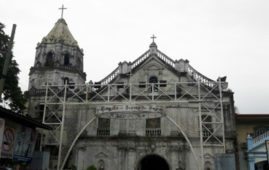 In Dasmariňas City, the Immaculate Conception Church – the city’s first Catholic church — was the site of the bloody Battle of Perez Dasmariñas, a Cavite offensive in 1897 commanded by Major Gen. Jose de Lachambre to recapture Cavite since the loss at the twin battles of Binakayan and Dalahican. Close to it, in Silang town, sits the church known for its Spanish colonial architectural style and Rococo-influenced retablos called the Our Lady of Candelaria Parish Church. The church served as kuta (camp) of the guardia sibil (civil guards) at the height of the hostilities of Filipino revolutionaries to Spanish friars in 1896. 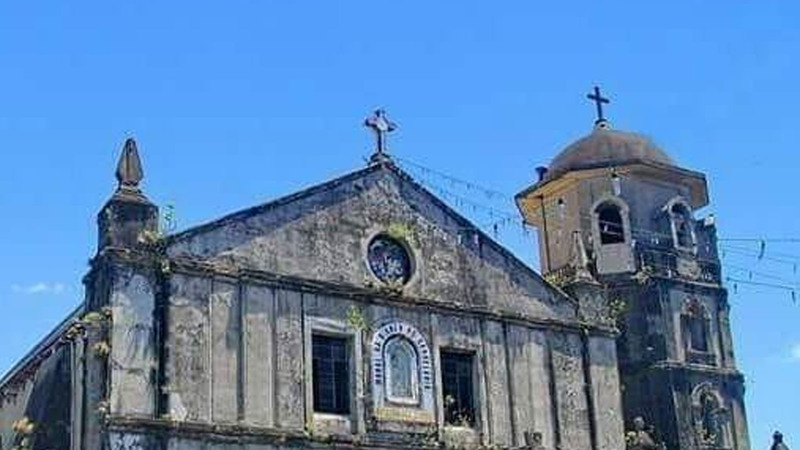 Like the church in Imus, the “Retablo Mayor y Menores and the complex of the Church of Nuestra Senora de Candelaria, more known as the Silang Church, has been declared a National Cultural Treasure in 2016. Other churches that pilgrims may consider are the churches of Our Lady of Assumption in the upland town of Maragondon, the Sto. 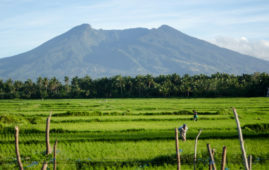 Niño de Ternate Parish that sits in the coastal town located in the western part of Cavite, and the St. Gregory the Great Parish in Indang town. The “Our Lady of Assumption” served as Emilio Aguinaldo’s base during the Philippine Revolution in 1897, while Ternate’s “Sto. Niño” was said to be ruined by the battle with only the Holy Image of Santo Niño left intact. “St. Gregory” was also burned and destroyed during the Philippine Revolution against Spain but was impressively restored, capturing the 18th century. The church is famous for its impressive interiors, paintings on the ceiling, and the old pulpit platform, which gives prominence to the officiating priest during Mass. There is also the old church in Tanza town, the Sta. Cruz Parish Church, where Gen. Aguinaldo and Gen. Mariano Trias took their oaths as President and Vice President of the Philippine Revolutionary Government some 120 years ago.